WHAT IS AN OAK TREE ITCH MITE? WHERE DO OAK TREE ITCH MITES COME FROM? CAN OAK TREE ITCH MITES INFEST YOUR YARD OR HOME? CAN OAK TREE ITCH MITES GET IN YOUR HOME? CAN YOU SPRAY YOUR YARD OR HOME FOR OAK TREE ITCH MITES? Oak tree itch mites are small microscopic mites which feed on midge larvae. Most common on oak and red oak trees, these microscopic mites cannot be seen by the naked eye but can be a real problem to people. Itch mites use a range of insects for food and in general don’t conflict with man. But the oak leaf gall mite (aka: itch mite) is one that has come to light in recent years as a significant pest. This mite was first identified in 1936 and since then has been the cause of several outbreaks of skin dermatitis around the country. In most cases the outbreak is in direct relation to the local midge population but has been linked to other insects like periodic cicada’s. Although the mite typically targets midges, it will take advantage of what’s abundant and plentiful. Outbreaks typically happen in the fall but can occur anytime from spring to winter. Outbreaks are the direct result of galls breaking open which in turn releases the mites. “Galls” can be seen above (to the right) and can look different from tree to tree. Basically a gall is tree leaf growth that encompasses the eggs being laid on it. So the gall is actually a plant growth but inside the gall is where the host insect and oak mites reside. Inside the gall, developing insects will cause leaves to “brown” and wither. This damage can be subtle and in general, it won’t hurt the tree. 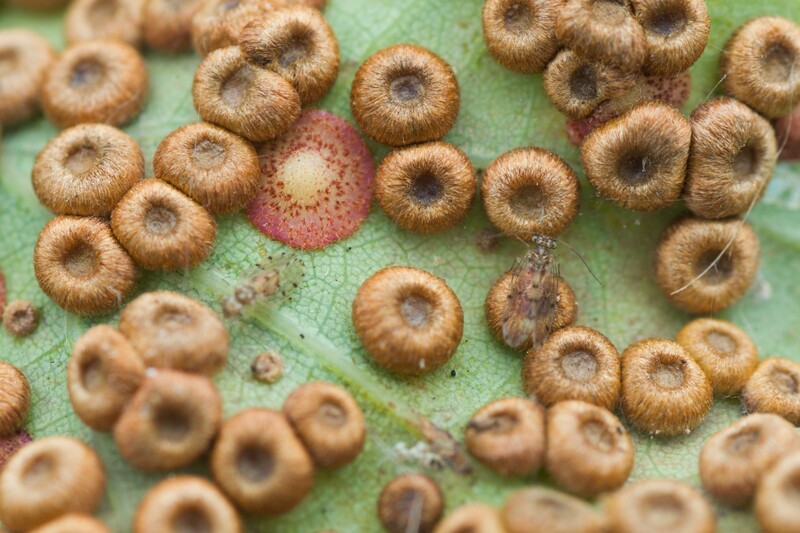 At some point in late summer or the fall, galls will open to release the developing insect. When this happens, the mites are released too. As explained above, when midges lay eggs on an oak tree, the tree will naturally grow a “gall” over the eggs. Galls are typically small; for the midge they’re barely noticeable except when you find clusters like the picture above, to the right. For this reason its hard to notice you have an active infestation but there is one big clue. Trees harboring the host midge will have small “gnat” like flies hovering around and under the tree canopy. These “gnats” are actually midges and you’ll really start to see them in September through the end of the year. Most noticeable after a rainfall, in warm climates you’ll find them hovering around acorns as they drop to the ground. But on any sunny day, especially around sunset, its common to see swarms above ground. These swarms are typically seen a few feet off the ground to 20-30 feet up in the air. This is sure sign of an active midge population and though the midges don’t bite, the parasitic itch mite which feeds on the midge is not so harmless. Also referred to as the “oak leaf itch mite”, they become airborne when galls break open and this seems to happen the most in the fall and winter. 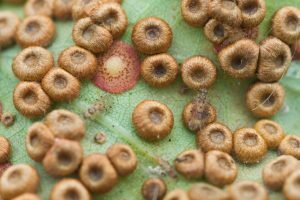 When galls open, the mite becomes airborne and can end up on people which in turn can lead to pruritic dermatitis, bites, welts and discomfort. No. Itch mites need a specific host and that host is typically a small insect. They also need a strong tree or shrub on which to reside inside a gall. And though they can cause a big problem when they release into the air, they usually don’t do this all year so for the most part, the problem with oak mites will begin in the fall and end as winter arrives. But in warm climates, the problem can last several through the winter and only seems to go away when the oak tree leaves finally fall off and new foliage begins to grow. Yes. Since they can float in air, the most common way into the home is on your clothing but they can also enter through a door or open windows. Typical oak tree itch mite problems will start in the spring and then by fall, galls will start to pop which in turn release the mites. Its for this reason the fall seems to be the “worse” time of year and when they’re most active. Yes and no. Unfortunately, there is no direct way to stop the mite from coming around since they travel by air. So once they start to hatch from galls, the problem will usually linger as long as its warm and there are leaves on the trees. But there are two ways to stop the problem from happening. First, understand the main reason for the problem. Its due to midges laying eggs on your oaks and other trees. So if you don’t want oak mites living on your oaks, spray them with CYONARA RTS in the spring and summer. One treatment every 30-60 days will keep midges from nesting which in turn will stop oak tree itch mites. Its a pretty simple approach: take away the oak tree itch mite’s source of food and they won’t have a reason to be on your property. 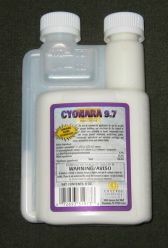 One quart of Cyonara can treat up to 1/2 acre of trees and should be applied in April, June and the end of August. Just hook it to your hose and spray up as high as you can reach. Most midges will attempt to lay their eggs in the 10-20 foot range and even if your tree is too tall to reach it all, the treatment will still actively repel them from the area above. 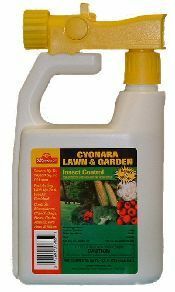 For large lots or if you expect to be using more than 1-2 quarts of Cyonara per season, CYONARA CONCENTRATE is more efficient. Add 1 oz in our 20 GALLON HOSE END SPRAYER and fill the sprayer with water. Next, hook it to your garden hose and spray away. It will take 20 gallons of water to spray out the contents which is enough for up to 1/4 acre of trees. Any good hose end sprayer can be used to make the treatments; our sprayer below will require 1 oz of Cyonara and then 31 oz of water (the holding tank for the sprayer is 32 oz). This will create a tank full with enough material to spray up to 1/4 acre of trees. Inside the home, you’ll need a good space spray to kill off mites that come in through windows and your clothes. Even though these mites will naturally die in a day or two, they can bite. 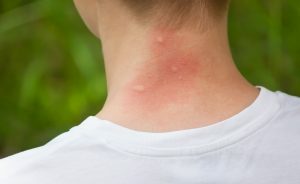 But if you’re actively spraying any room with open windows and where you mostly enter the home, you can kill off itch mites before they have a chance to bite. Itch mites don’t move quickly so even if they land on your clothing, it will take 2-3 hours before they can find an open patch of skin to feed. But once you enter a room treated with AQUACIDE, they’ll succumb to the spray and die before they get a chance to bite. Aquacide is easy to apply and only takes 5-10 seconds of spraying the air to release enough material for the average room. 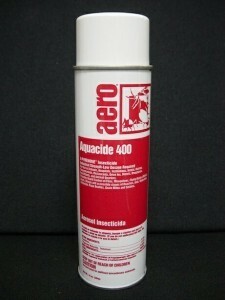 And Aquacide can be used as needed so applying some 2-3 a day is normal if needed. For a more permanent solution in the home, install AEROSOL MACHINES fitted with CLEAR ZONE refills. Aerosol machines are small, about 1/2 the size of the average cigar box, and can be mounted on the wall or set on a shelf at least 5 feet off the ground. They require two “D” cell batteries and a can of Clear Zone insecticide. Each machine is configured to go off every 15 minutes and can cover up to 400 sq/ft. When turned on, it will release a small amount of space spray strong enough to control air borne pests like noseeums, gnats, mosquitoes and floating itch mites. 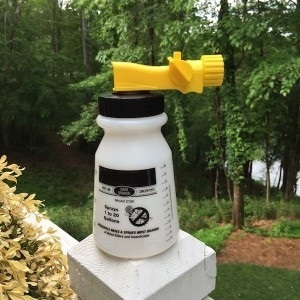 This ensures any mites coming in on your clothing or entering through windows will die before they have a chance to bite residents living inside. Each machine will need a can of Clear Zone. Cans will last at least 30 days and can be used safely in any part of the home including kitchens, bathrooms and bedrooms. Keep the machines running as long as itch mites are active in your region. This will normally be 30-90 days on average but can be longer or shorter depending on the outbreak.